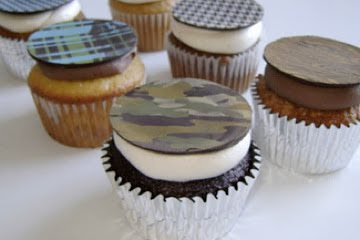 How cute, I mean MANLY are these cupcakes!? These would make a great Valentine's Day gift for your boo! How delicious does rum soaked Madagascar vanilla cake with cola Bavarian cream sound (The Rum & Coke!)? For futher info check out the Butch Bakery website.